There are certain things that your growing son needs from his mom, and you are the only one who can provide him with these essential things. Hugs work even when he gets older. 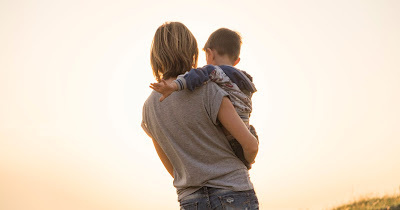 Boys are who they are, and moms need to love them without trying to rewire them.” He needs to know the importance of human contact so he doesn't keep it from his wife or children. To learn the kinds of things that women need –Let him take you out to dinner. Let him know the things that girls like. Let him open doors and hold your hand to show him what a woman expects. Tell your son how much you love him, and let it be clear. Demonstrate gestures of acceptance. He will in turn reflect that love to you and to others. He needs to respect that you are a figure of authority. He needs to understand what co-parenting looks like; he’ll do it himself someday. Make him put his own laundry away, take out the trash, and help you do the dishes. Make him earn his way when possible. If you don’t, all housework will forever be known as “woman’s work” and nobody wants a man like that. You want him to be the man who will help his wife take care of their home, take care of the things he has acquired, and know how to work for what he wants. Setting limits is important. If a child feels that you cannot control his inappropriate behavior, he will feel like he is stronger than you and will try to manipulate you. On the other hand, if you overwhelm your son with inappropriate limits, he will feel no confidence and have difficulty getting and keeping jobs in the future. Setting appropriate limits will help him succeed. Dance in the car, in the living room, in the front yard. He will learn that life has a soundtrack and he needs to learn how to have fun. There is no moment too small to celebrate, and the big ones always call for dancing. Whether it is on the ball field or in the classroom, become his biggest fan and dance about it. The world is full of people just waiting to show him he’s no good. Let him know, that in your eyes, they will always be wrong and be quick to celebrate him and his accomplishments. Give him room to make mistakes, and to learn from them. Correcting your son's mistakes firmly but kindly will help him want to do the right thing. Humiliating correction, on the other hand, produces the opposite effect.